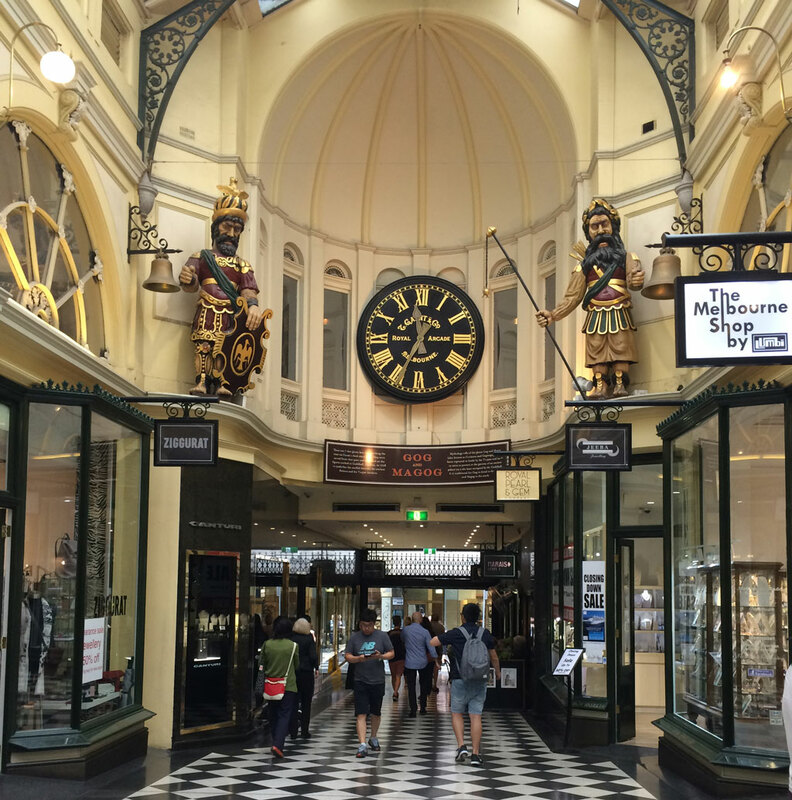 Melbourne has a number of beautiful arcades, including the Royal Arcade built in 1869, with the mythical statues of Gog and Magog and Block Arcade, built in the 1880s thanks to the gold rush, with its Victorian Hopetown Tea Rooms. 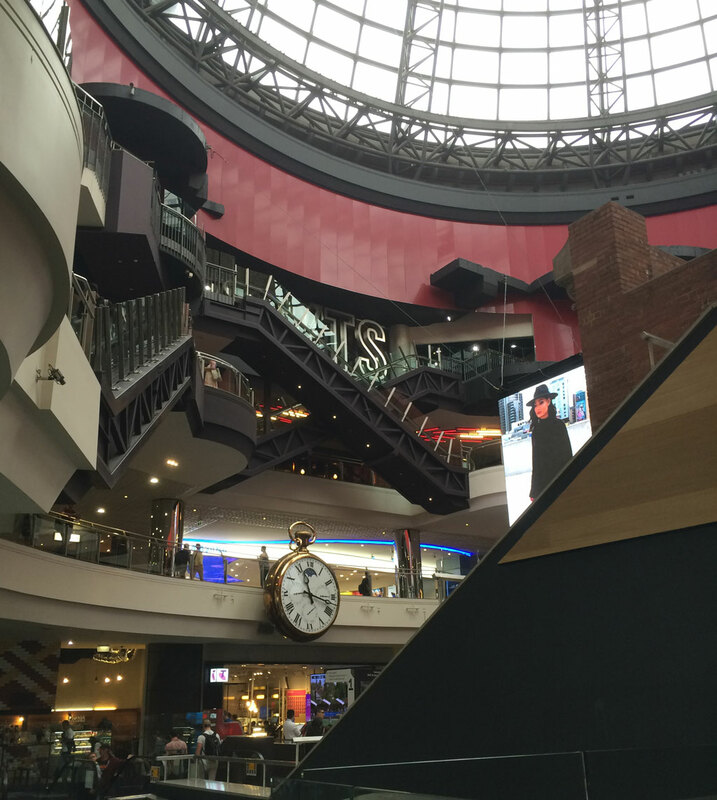 The more recent Melbourne Central Mall (last photo), with its tower and atrium, is the city’s largest mall. 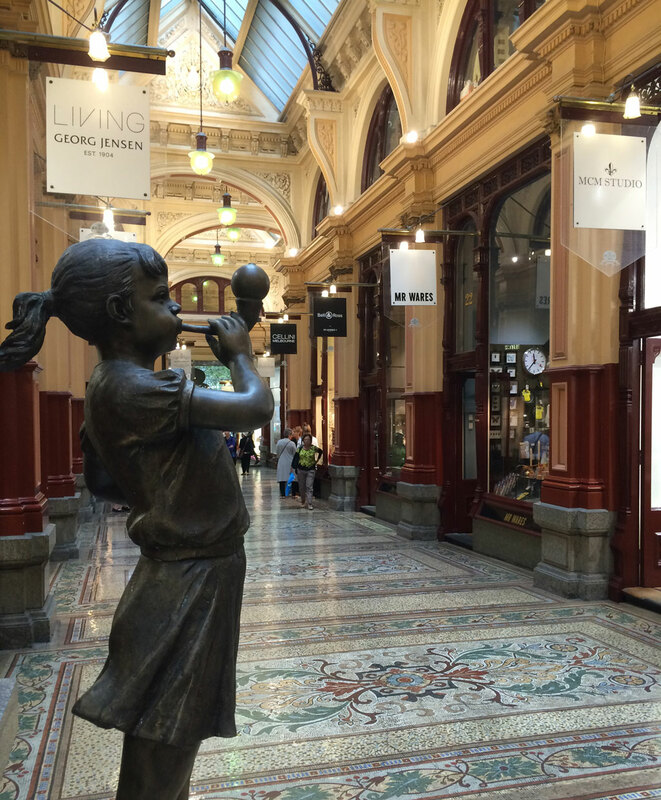 Melbourne a plusieurs belles galeries, dont la Royal Arcade construite en 1869 avec les statues des géants mythiques Gog et Magog, et l’élégante Block Arcade, construite grâce aux retombées de la ruée vers l’or des années 1880 avec les Hopetown Tea Rooms qui datent aussi de l’époque victorienne. Le Melbourne Central Mall, plus récent (dernière photo) avec sa tour et atrium est le plus vaste centre commercial de la ville. Posted in: Architecture, Australia, Postcards. Wow! What beautiful interior spaces! I see you found my favourite tea room. We missed the new Central mall. It doesn’t even begin to have the charm of the 1880’s style. @William – Yes, they are really lovely. @Helen – We didn’t go into the tearooms as we had a lunch date afterward. I am not very keen on malls, but it was worth seeing. The photo doesn’t do it justice – but the arcades are much nicer! 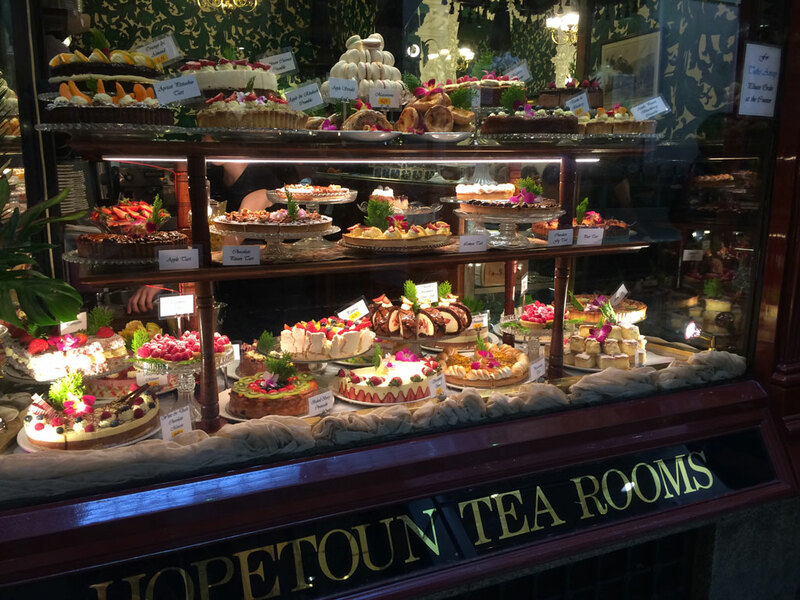 I can’t forget the taste of Black Forest cake of Hopetoun Tea Rooms. It is a little bit expensive but it is all worth it.